If you just bought a new bathtub, toilet, sink or shower, you can call a plumber to install them for you. You can also ask advice regarding future remodeling jobs in order to make it less expensive and more efficient. That brand new solar water heater in an online ad you just saw – you can ask a plumber if it would be possible to install it in your house. He can also do repairs on your standard or tankless water heater if it is not working, or if it heats up the water too slowly. A leak in your gas line could be very dangerous and you should take it very seriously. 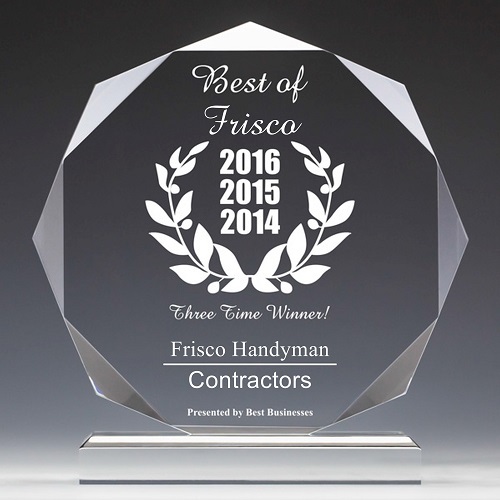 You should call a professional plumber contractor in Frisco TX for assistance instead. Do you need to replace old gas lines or do you need new piping to supply gas from the street to your home? Do you have a new gas appliance such as a barbecue grill, stove, or clothes dryer? Ask the plumber to hook-up the gas for you. Plumber contractors are also usually called to install, replace or repair the main sewer system, clean and pump out septic tanks and also to clear clogs. Many plumbers also work on water fountains and sprinkler systems. The one who installed the beautiful fountain in the park is probably a local plumber. They may also have done the lawn and garden sprinklers at your favorite local golf course. If you need a new water sprinkler system for your garden or lawn, or if your existing water sprinkler is leaking, you can should consider contacting a plumber contractor in Frisco TX for assistance.